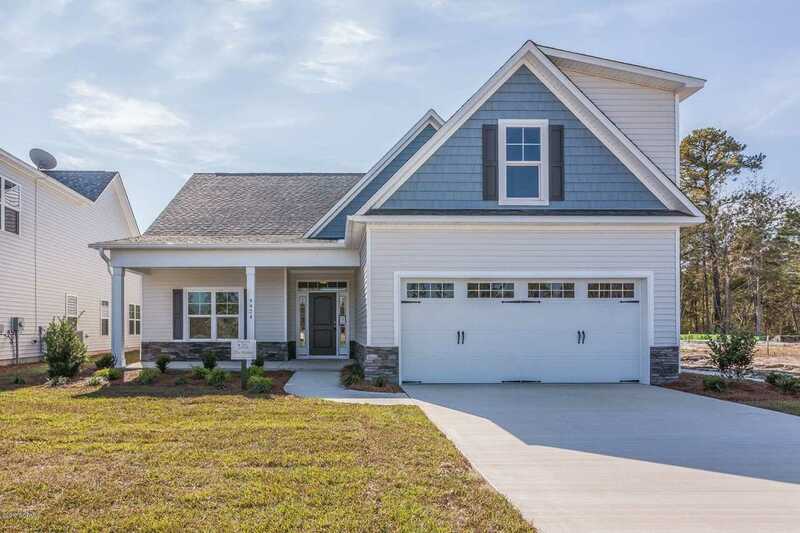 The Azalea - This beautifully crafted single level home features 3 bedrooms plus a bonus room over garage with a full bath. Covered front porch, formal dining room, bright open kitchen with 42'' espresso cabinets, granite countertops, stainless steel appliances, hardwood flooring in all living areas, gas fireplace. Master bedroom has trey ceiling and en suite luxury bath with ceramic tile walk in shower & large soaking tub, double bowl vanities. Enjoy entertaining on the covered rear porch. Parsons Mill Farm is New Hanover County's newest planned community offering community pool & cabana & community park. No city taxes. Conveniently located off North College Road. SchoolsClick map icons below to view information for schools near 4424 Huntsman Court Castle Hayne, NC 28429.